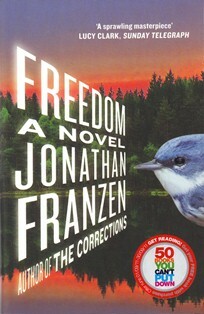 The Slap meets Desperate Housewives in Jonathan Franzen’s Freedom. It’s one of those books that can polarise opinions so, like The Slap, you’ll probably either love it or hate it. It would certainly make for some great book club discussions. Set in modern-day American suburbia, Freedom is the story of the Berglund family. On the surface, they’re your typical all-American family. Walter is Mr Nice Guy while Patty spends her days baking cookies and doting on her children. Scratch beneath the surface, however, and all is not as happy families as it seems. Freedom contains flawed characters who I didn’t really like, yet I felt compelled to read their story. While I didn’t fall in love with this book, it did leave an impression on me and I appreciated its deeper themes about freedom and what it really means to be free. Love it or hate it, Freedom is worth a read.